1930's Book of Trivia and Games. 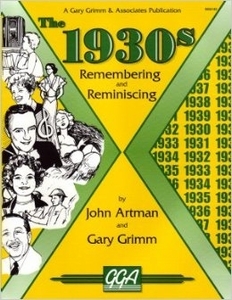 This 1930's activity book contains a variety of puzzles and games that tickle people's memories of events from the 1930s. This 1930's activity book measures 8 1/2" x 11", has 48 pages and a soft cover. It displays important people & events that occurred in the interesting 1930's decade. 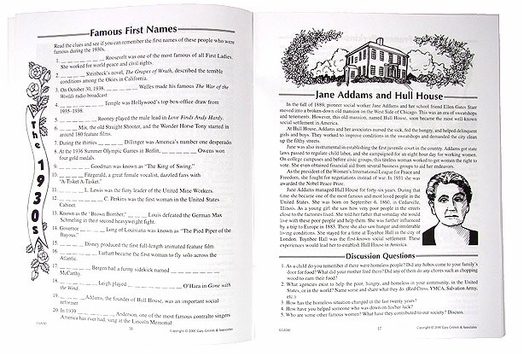 Includes word searches, word scrambles, inventions and new products, new music from the 30's, fill in the blank activities, historic trivia, important people, and other fun activities. 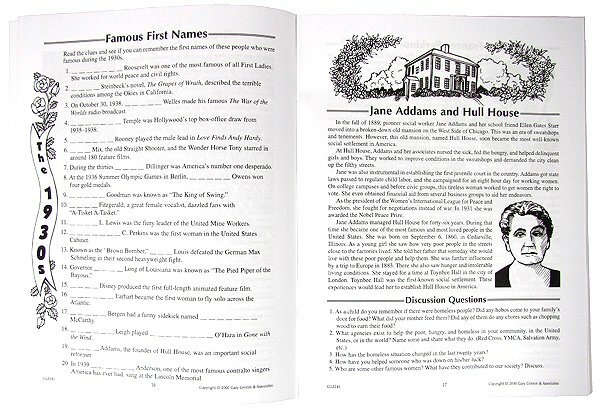 Answers included at the back of the book.